Liver cancer is of two types: primary and secondary. Primary cancer is the cancer that begins in the liver tissue and secondary cancer is the cancer spreading to the liver post starting in some other part of the body. Liver cancer is generally caused when the cells present in the liver show abnormal behavior and appearance. The cells in the liver turn cancerous or malignant and destroy the normal tissues spreading to the liver and even the organs outside the liver. 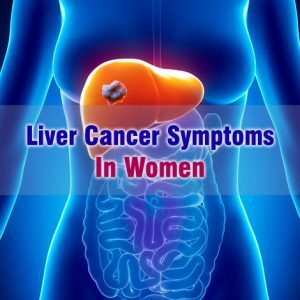 Very similar to the other cancer types, the liver cancer symptoms in women and men do not appear during the early stages. This is the reason why liver cancer is only diagnosed in its advanced stage. High levels of blood calcium causing confusion, nausea, weakness, muscle problems and constipation.